Verlinden is located in San Jose, CA and has a web site. ​VLS resins sets are short run products, made with rubber molds rather than steel ones that are used to mold plastic parts. These molds have a short life and wear out after a few thousand shots. Figures molded this way by VLS are seamless, but have pour lugs that have to be removed, as you can readily see here. Also, the parts should be washed with soap and water to remove any mold release from them. Which at times runs heavy. The pour lugs are best removed with a razor saw and the attachment point then sanded smooth. 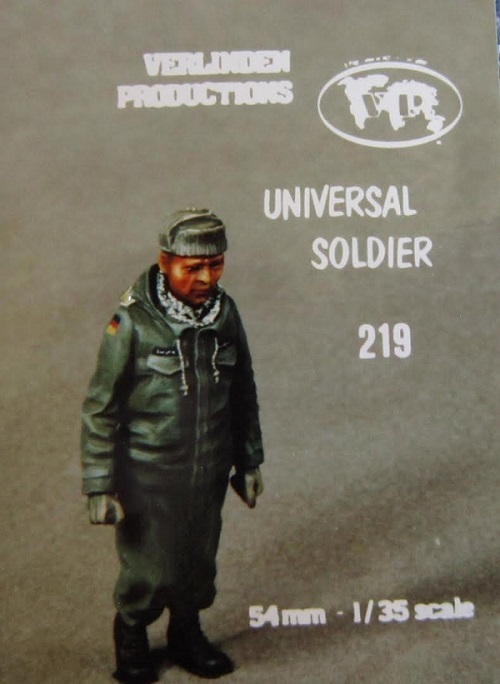 This set consists of 6 tan resin parts: It is of a standing universal soldier as no mention of what country he represents. I think the hat looks Italian personally, but who knows?? 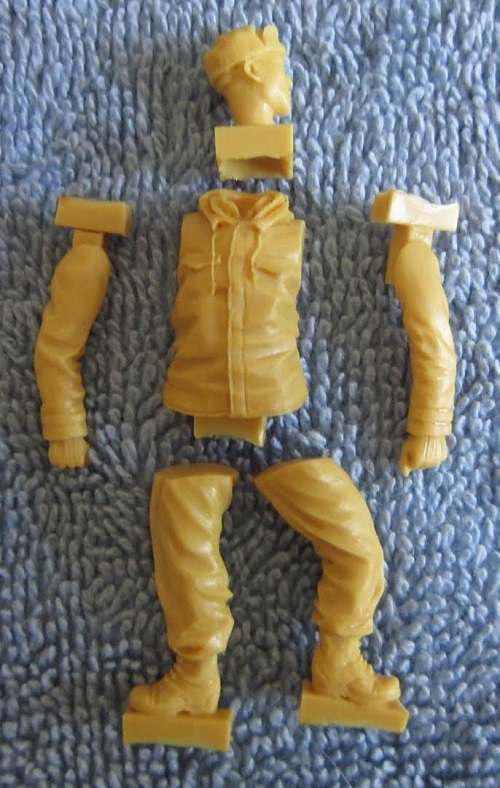 He is divided into seperate head, torso, arms and legs. He is wearing a heavy leather jacket and pants bloused into low shoes. His hat has a snap-down brill with ear flaps. I got this figure and many other VLS sets willed to me by a deceased fellow modeler who died of cancer years ago. I am willing to sell him for a good price + postage.